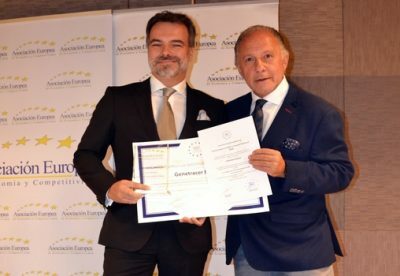 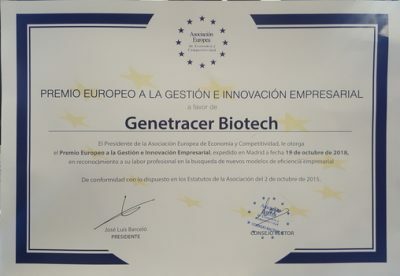 The European Association of Economy and Competitiveness has awarded Genetracer Biotech with this distinction to recognize the search of new formulas of business innovation, one of the basic engines in the Spanish and European economy. 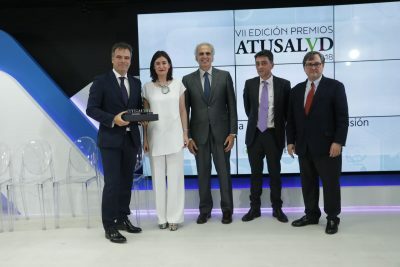 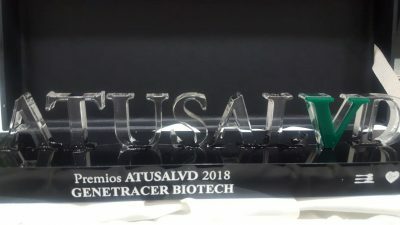 Genetracer Biotech has been awarded in the VII edition of the ATUSALUD awards for its work in stratified medicine and precision in the diagnostic use of liquid biopsy. 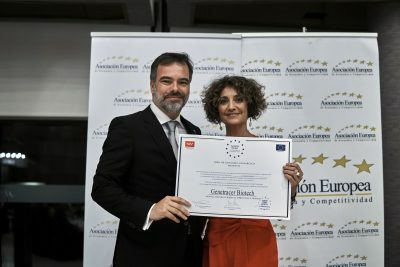 The award was presented by Carmen Montón, Minister of Health, Consumption and Social Welfare of the Government of Spain. 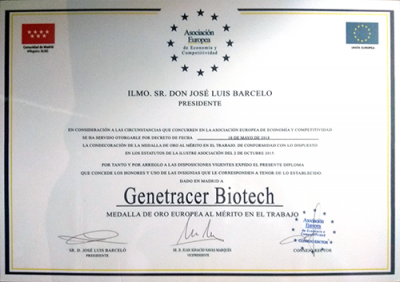 The European Association of Economy and Competitiveness has awarded its highest distinction the ‘Gold Medal for Merit at Work’, which recognizes the entrepreneurial spirit within the European framework of Genetracer Biotech. 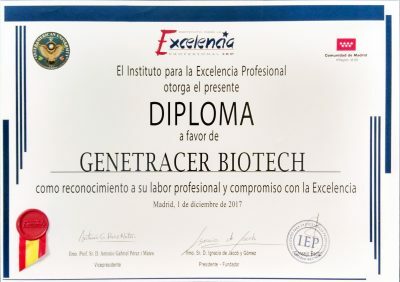 Genetracer Biotech has received recognition for professional work and commitment to excellence as a leading company in the field of oncology in the early detection of cancer and its precise treatment by performing its tests from a blood collection without the need for a biopsy. 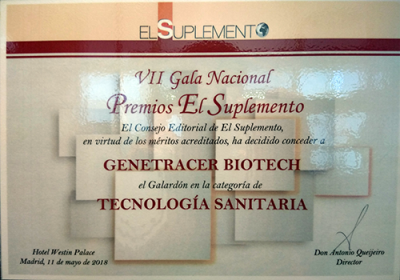 Genetracer Biotech has received the award in the category of health technology, highlighting the product “Decoder”, which addresses the evolutionary dynamics of cancer, from primary diagnosis to remission or monitoring of recurrence. 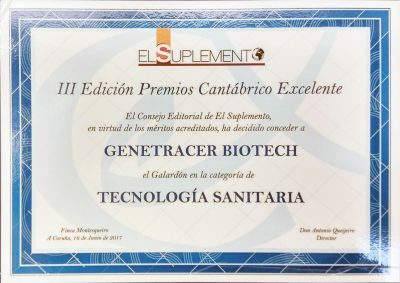 Genetracer Biotech received the Excellent Cantabrian Award 2017 in the Health Technology category. 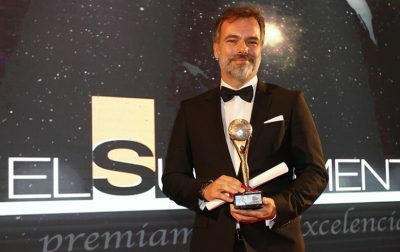 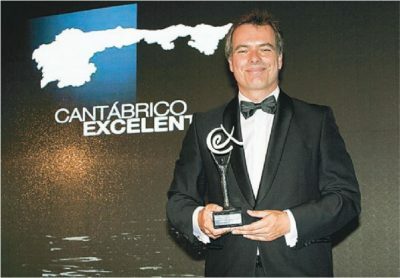 His career, vision, innovative zeal and perseverance explain the award of the 2017 Cantabrico Excelente Award in the Health Technology category. 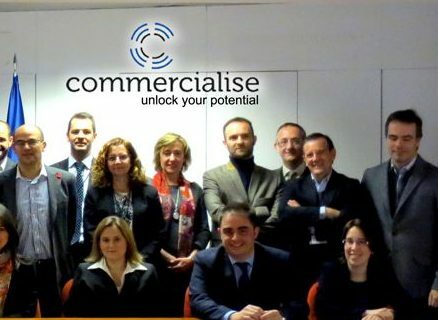 Pilot program of the European Commission for the development and implementation of a pioneering model of effective and efficient coaching and mentoring focused on accelerating and increasing the commercialization of business R & D results. 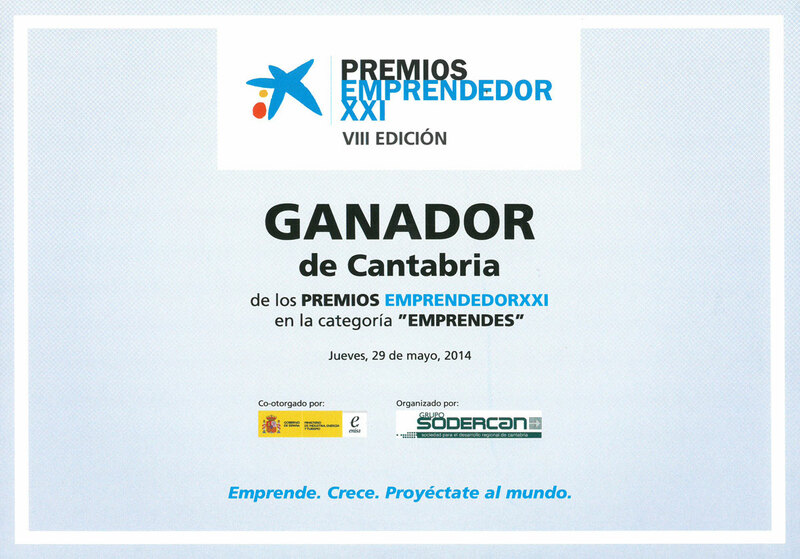 Winner Emprendedor XXI Awards 2014. 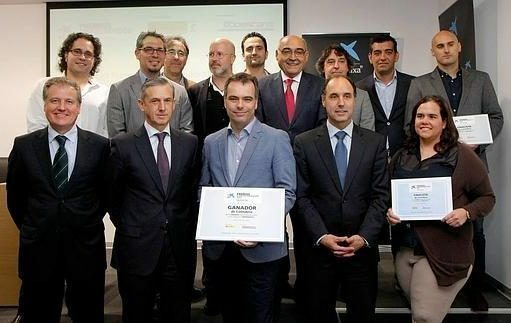 Genetracer Biotech, dedicated to the development of molecular biology tools for precision medicine, has been recognized as the most innovative Cantabrian initiative and will represent the community in the national phase of the Emprendedor XXI Awards. 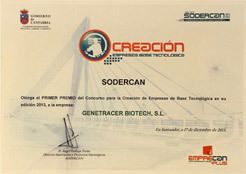 The 2013 edition of the Emprendedor XXI Awards in Cantabria has distinguished the uniqueness of the business project of Genetracer Biotech. 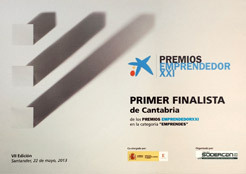 The EmprendedorXXI Awards are an initiative promoted by “la Caixa”, in collaboration with the Ministry of Industry, Energy and Tourism, through the National Innovation Company (ENISA), since 2007. 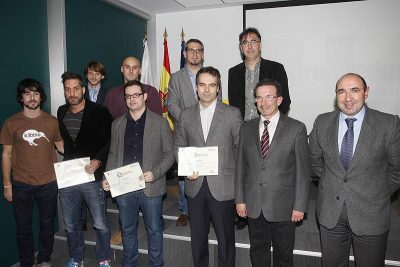 The first prize went to the company `Genetracer Biotech ‘for its project for the development and manufacture of diagnostic tests and genetic analysis to obtain a prognosis of common diseases, detecting genetic differences in the population that affect the individual response of a medication and customize the pharmacological treatment to each individual, thus avoiding the adverse reactions of the medication.